Who pursues a One Year MBA? Ladies and Gentlemen! We are about to land in Berlin. The temperature outside is 17° C. Hope you had a wonderful experience flying with us. We, IPMX Class of 2017, got this wonderful opportunity to study at two campuses of ESCP – Berlin and Paris. Was it exciting? I will let you decide as you read through. We reached our hotel while enjoying the scenic morning drive. It was located in the heart of Berlin. We checked in, grabbed a map of Berlin, got our weekly travel pass (all arranged by ESCP team – a big thanks to them!!) and found ourselves exploring the city, jumping between metros and buses. Quite busy first day; classes started from day 2. In next one week, we studied – Internationalization Strategies of German and European Business Firms, Overview of Mittelstand (medium-sized companies in Germany) and Entrepreneurship in European Context. We visited the manufacturing unit of Bayerische Motoren Werke AG (yes!!! That’s BMW Motorcycles’ company) manufacturing unit of Volkswagen and Autostadt (German for Automobile City) – a visitor attraction adjacent to the Volkswagen factory in Wolfsburg, Germany. And the most important ones – a visit to the German Parliament (Reichstag building) followed by a visit to Indian Embassy at Berlin. All these visits helped us understand Indo-German relationships, tie-ups and business opportunities. Germany was no longer a strange country to us. While all this was scheduled officially, there was a long list for self-exploration as well. We roamed like kids in Disney land, built an excellent camaraderie among us and new friends at ESCP, clicked pictures, ate local food and tried our amateurish German (Danke!! – the most frequently used word). One week just flew by. Every single minute was a new fun-filled learning. While we were sad to leave Berlin, we were equally excited to start our visit to one of the most beautiful cities in the world – Paris!! 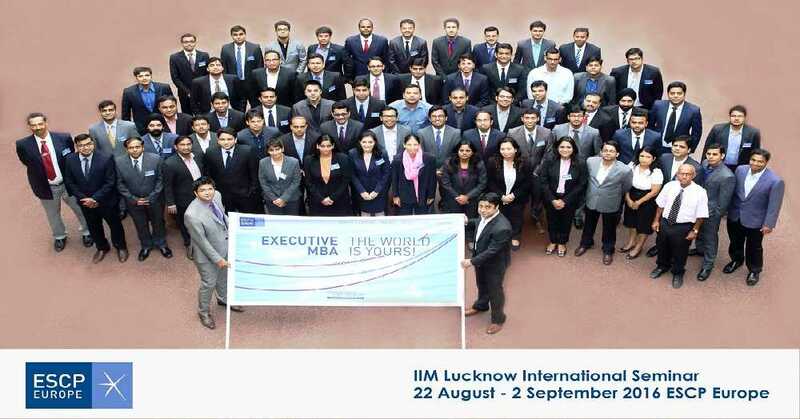 IIM Lucknow has a strong tie up with ESCP through many different ways. One such important part is dual degree exchange program, a program in which IIM Lucknow PGP students get an opportunity to study at ESCP Europe. We were welcomed in Paris by ESCP team and PGP friends, Avinash and Avhijeet, who made us feel at home with their warm welcome. Another exhilarating week lay ahead of us. We had an outstanding session on “Europe in global context- Comparison with India” taken by none other than Prof. Jyoti Gupta, faculty member at ESCP. We learnt how similar and dissimilar the businesses across these two different parts of the world are. Many among us had already worked in one or more European cities while most of us had international experience of working in USA, Japan, and Singapore etc…But this was an excellent opportunity for all of us to understand the intricacies and complexities at the same time appreciate the differences. A Panel session was conducted with Mr. Guy Sidos, CEO – VICAT (€ 2 Billion French company manufacturing cement, aggregates and ready-mix concrete in four continents) on “Business environment for European companies developing in India”. A full day workshop on Innovation and Supply Chain in the European context was conducted during which we got an opportunity to interact with Louis Vuitton Supply Chain Management. We also got an opportunity to interact with Mr. Daniel Harari, CEO – Lectra (a leading tech company specializing in CAD and CAM systems for soft material industries and operating 32 subsidiaries around the world). It was an extraordinary opportunity for most of us. More these global leaders shared their experiences with us more we felt humbled. Few students came home while many others dispersed to explore Europe further and extended the trip personally. Some went to Belgium and Holland while other went to Switzerland and Rome. Everyone had a great time filled with experiential learning – culture, business environment, language and much more. All of us are now back to our beautiful campus. Term 3 has started. We all are super excited to start the subjects of our interest / specialization as term 3 and term 4 are Elective Course terms. How Would You Rank 1-year MBA programs at IIMA, IIMB and ISB? 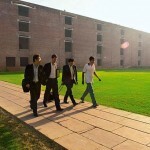 IIM B vs IIM C vs ISB – Which one is right for you? The basics of a One year MBA in India #1 – Executive MBA? No. 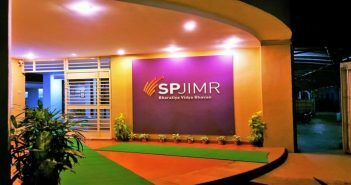 India’s first globally accepted MBA? Yes.